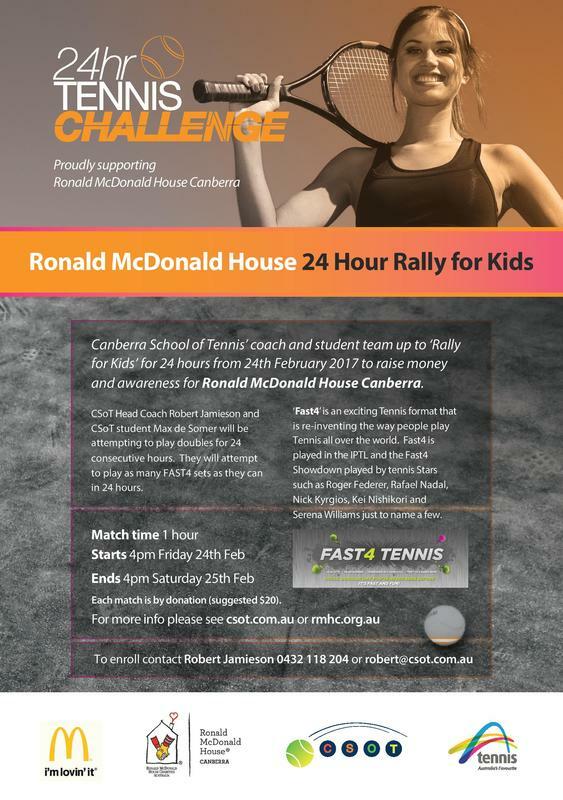 Canberra School of Tennis coaches Robert Jamieson & Max de Somer are set to play 24 hours of Tennis to raise money for Ronald McDonald House. Robert and Max will be attempting to set a new record for the most "Fast 4" Opponents played in 24 hours. The money raised will go towards giving families a place to stay while in Canberra enabling them to spent more time with their children. Ronald McDonald House Canberra opened on Friday November 16 2012 on Level 2 of the Centenary Hospital for Women and Children. The convenient location of the House inside the hospital ensures antenatal patients are cared for and nursing mothers are close by their baby’s side 24 hours a day. 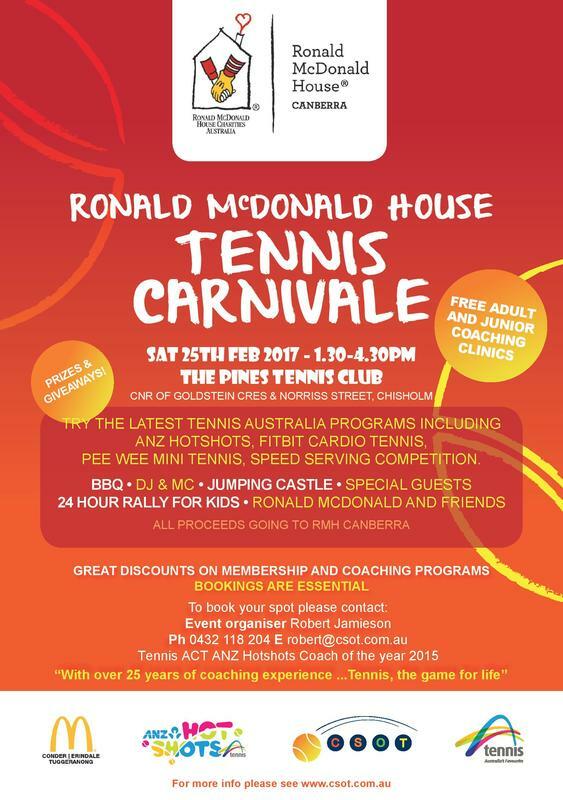 The Rally for Kids runs from 4pm on February 24th and will conclude with Canberra School of Tennis annual ‘Tennis Carnivale’ on February the 25th at the Pines Tennis Club. 'Tennis Carnivale' features free tennis lessons, kids activities such as giant slides, racquet demos plus lots more.